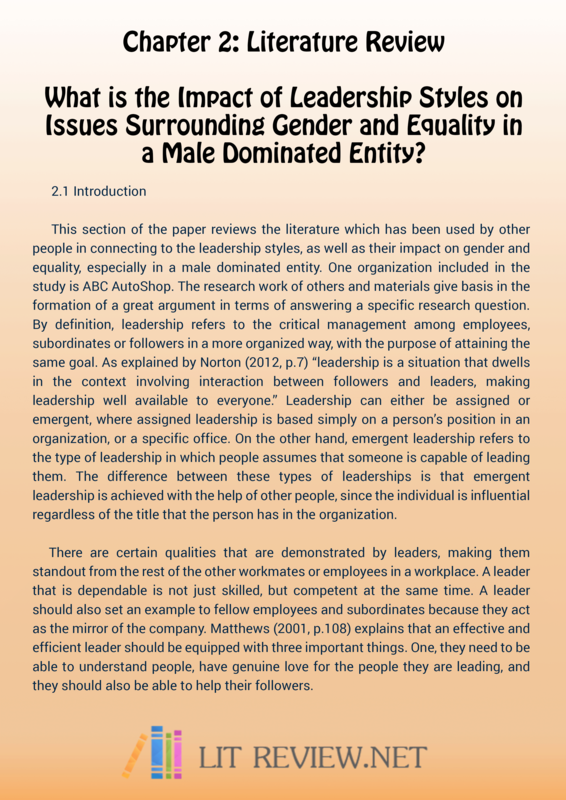 Will a Literature Review Example MLA Help You with Your Dissertation or Thesis? The literature review is a very important part of any research paper and at times even a task that will be set you in isolation to any further research. Conducting MLA or APA lit review format and documenting it, however, are far from easy and it takes an enormous amount of time and of course skill. 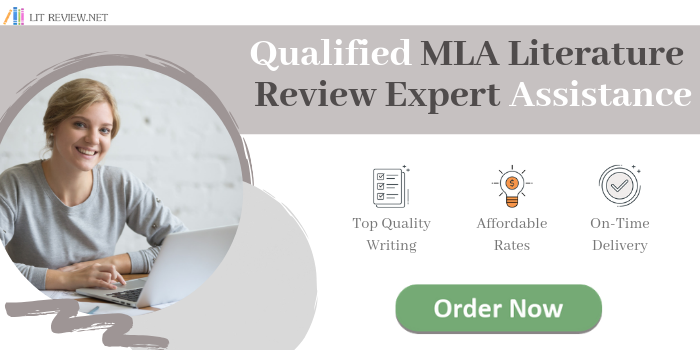 Looking at a literature review example MLA will give you an idea of how to lay out your MLA literature review to ensure that it meets all of the requirements of the MLA format but as to content, it may just confuse you further. You have to be very careful when using a literature review example MLA if you are going to use it successfully to help you with writing your own literature review. A quick search online will turn up a literature review example MLA, however, an example that you will find will be focused around a subject other than what you are specifically researching unless you are very lucky. Even if you do find one around your specific subject area you will not be able to copy it as that would be plagiarism and strictly against all of the academic rules. All that you can use a literature review sample MLA format for is to show you how it should be formatted and to give you some ideas as to how the content should be organized and written. Never copy any example you find, just use what you see as a guide for how your writing should be when you write your own literature review. Just as in literature review MLA example, start your Works Cited page using another page and at the end of the paper. The margin of the Works Cited page must have the same one-inch margins as well as page number header, last name and page no. header. You must double-space all the citations, however, never skip spaces between your entries. Like as in our literature review example MLA, label the MLA reference page and the center “Works Cited” at the page’s top – without any quotation marks and not italicized. You must indent the lines from the second line of the citations onwards only by half an inch for a hanging indention. You need to list down the page numbers of your sources in the literature review format MLA. If you’re using a publication or article, which was originally in a printed form but you have derived from an online source, type the name of the online source in ITALICS. If using online sources, you must include the exact location of the source so that readers can easily find it. There are many scholarly databases, which are using a digital object identifier. You may use it in your MLA citation if possible. Remember that each of the work cited must end with a period in the MLA format literature review. Regarding capitalization, you should capitalize every word in the title of the book or article, etc, but you don’t need to capitalize – a, an, the…, as well as conjunctions unless they are the first word in the subtitle or title itself. Conducting and writing up a literature review is not a task that you can cram into a free period as you once did with your assignments. It requires planning, a huge amount of research and meticulous careful writing. This is why students at all levels find themselves greatly challenged by this immense task. Because of this many students will now turn to professional research and writing services such as ours to find the literature review help that they need. You will need to work with a highly professional and specialized service such as ours however if you want to get the results that you are expecting. When we work with you to provide you APA literature review we provide you with one of the very best writers you will find online to work with you. Don’t hesitate to contact our service right now for the best and well-written literature review example MLA to get inspired!